Editor’s Note: This article was first featured on the Kia CX Consulting blog here. One of the biggest challenges customer success organizations face today is determining how to effectively resource accounts throughout the customer’s lifetime. 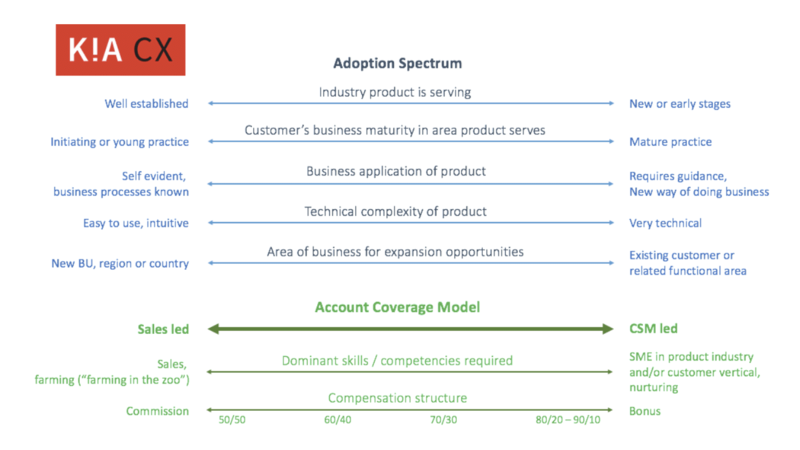 Determining the account coverage model – knowing who is responsible for the customer at all times throughout their journey, ensuring seamless transitions along the way if hand-offs are required, the types of roles required to drive product adoption, and how everyone is compensated to drive the right outcomes – is imperative for an organization. It gets more complex when sales is thrown into the mix. Customer success typically finds itself trying to determine how best to align with sales to provide customers with a seamless transition from the acquisition (or sales) to retention (or post-sales) phase. How should sales and customer success align? Who owns the relationship? Should customer success own revenue? How should customer success managers be compensated? What is the ideal account coverage model for customer success? As is the case with all aspects of this young and rapidly evolving customer success industry, there is no single bullet answer. The best performing companies out there have realized that creating agile business operations around their customer journey is the most effective way to drive retention and revenue. Their account coverage models similarly reflect this. I, therefore, offer up the following framework to help guide your thinking when addressing the above questions to determine the best account coverage model for your customers. Firstly, assess where your product and the business industry it supports, is within the adoption spectrum illustrated above (in blue). Is your product defining a new category and industry, or is it serving a well-established business function? How mature is your customer’s business in the area that your product serves? For example, if your organization sells customer success software, how established is your customer’s customer success practice? Is it a new or mature practice? To what extent does the product require your customer to change how they run their business? Is it self-evident how to establish new business processes? Does the customer already have those business processes in place? Or does your product necessitate a new way of doing business and require you to advise your customers accordingly? How technically complex is the product? Is there a lot of education and expertise required to fully adopt the product? And finally, where do the expansion opportunities lie within the customer’s business? Is it in a new area or region of the business? Or do you require an established relationship and extensive knowledge of their business in order to drive on-going expansion? The answer to the above questions will give you an indication of where along the adoption spectrum your business lies. Correspondingly, along the illustrated account coverage model (in green), you can see whether you need more of a sales or customer success led approach. New customers or business areas using software that is easy to use, intuitive and self-evident in terms of a business process perspective, will more easily adopt the software and require less subject matter expertise assistance. They also tend to be less sticky customers, as switching to other products is relatively easy. A sales or account management model is most appropriate here to drive continued loyalty and expansion. Conversely, if the software is defining a new industry and requires a new way of doing business, or the customer is very mature in their application of your technology and looking to do more, the customer will benefit from a more dominant advising approach. A customer success led model with more nurturing and dissemination of subject matter expertise will accelerate adoption, ensuring that the customer is successful and sticky sooner. Further expansion of the account can be driven by the customer success managers (CSM), focusing on expanded business use in new ways using the software. Once the business has established clarity on a sales or customer success led approach, the answers to the frequent challenges become readily apparent. The person that owns the customer relationship should be sales if it’s a sales-led approach, and customer success if it’s a customer success led approach. It is absolutely appropriate for customer success to own revenue if the business model dictates that a customer success led approach is the right one for the business. Driving loyalty and account expansion through the delivery of real business value to the customer is an adoption dialog (vs. a sales negotiation) that happens as a result of a deep understanding of the account and the business application of the product within the customer’s environment. The CSM is the most equipped person to own this. Compensation structures also align to the account coverage model. The closer the sales-led approach, the more a commission compensation structure should be employed. The more the approach is customer success led, the more a compensation plan will look like a bonus structure. Along the spectrum, the percentage split between base + commission or base + bonus will vary accordingly. Determining an account coverage model that is right for the business requires the business to understand its key adoption drivers. With the adoption drivers understood, an organization has clarity around what the customer needs in order to be successful. 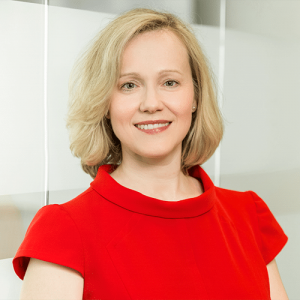 With that clarity, determining who owns the relationship becomes a matter of aligning the right roles to the needs of the customer and then creating the corresponding compensation plans to drive the intended behaviors.